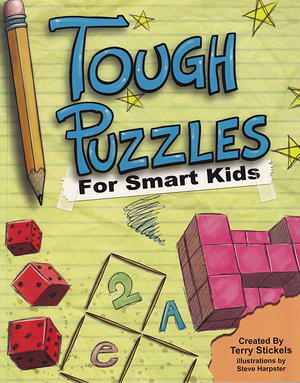 We know - your think you're a smart kid, tougher and brighter than all your friends. Want to put it to the test and show everyone you're the best? Then get out your pencils, warm up your brain, and get ready to have some fun. These puzzles are HARD, with jigsaw pieces to put together, anagrams to decode, optical illusions to figure out, and logic puzzles to solve. And if you're really brave, you can try some of the most unusual puzzles that anyone ever dreamed up. So go on...we know you can do it!